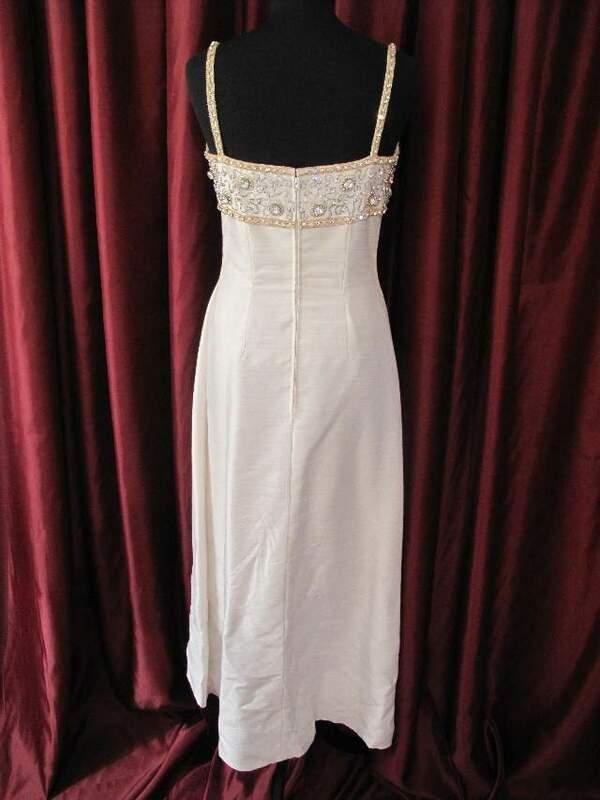 1960's Ivory shantung sheath vintage wedding dress, with crystal studded bodice. 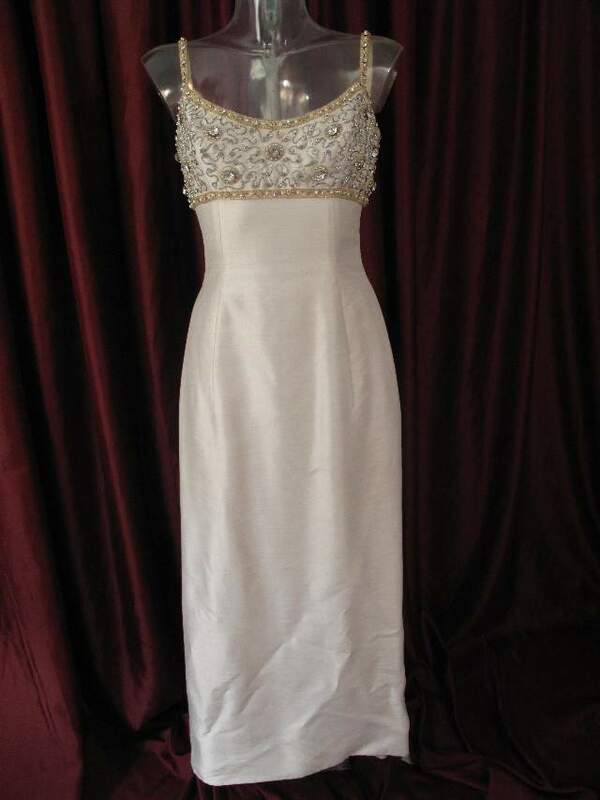 Ivory fitted sheath in heavy shantung with empire bust line. 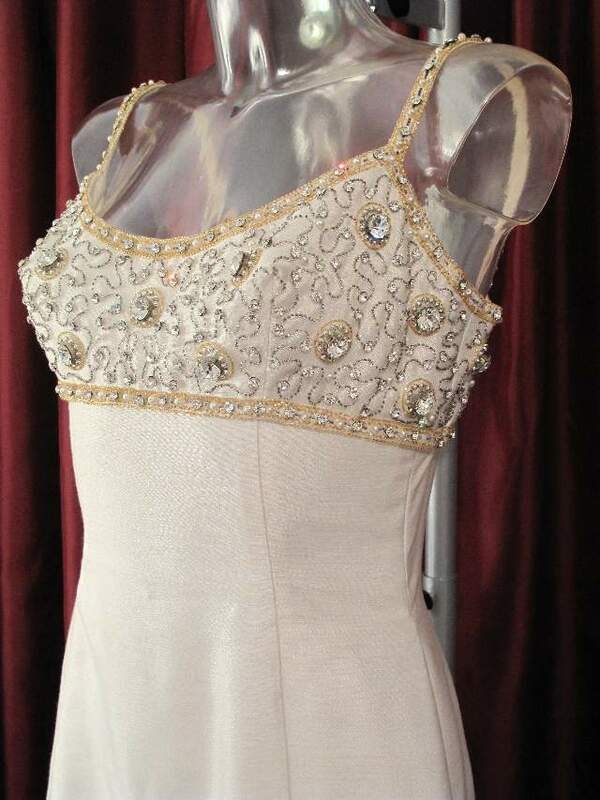 The dress is fully lined with back zip fastening. 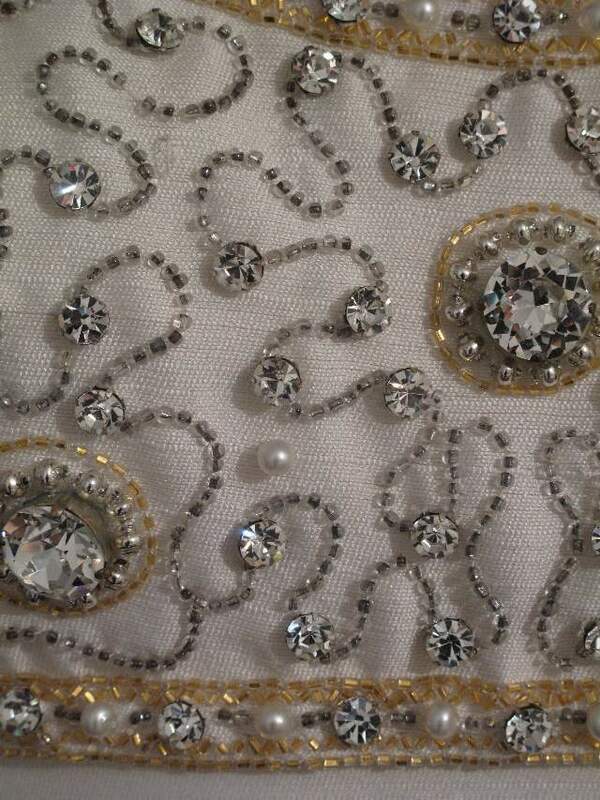 The striking feature of the dress is the bodice, which is completely beaded with a swirl design of glass beads, silver beads, faux pearls, clasp faceted crystals and large faceted claw set crystals of exceptional quality. 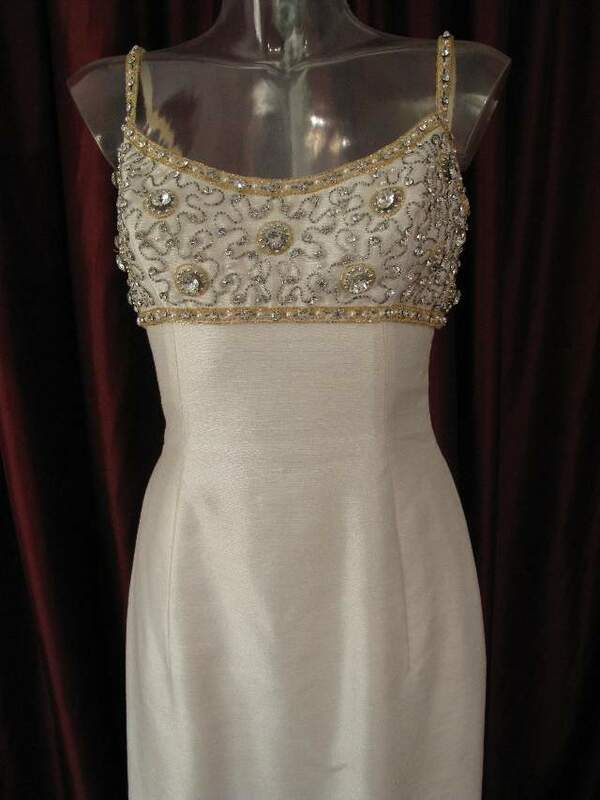 A fabulous elegant dress with a great flattering cut. 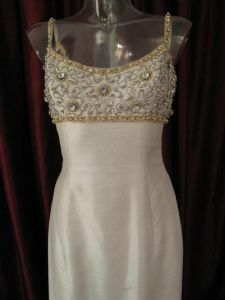 This is a perfect choice if you want a vintage wedding gown for its uniqueness and romance, but would like a classic, princess gown.